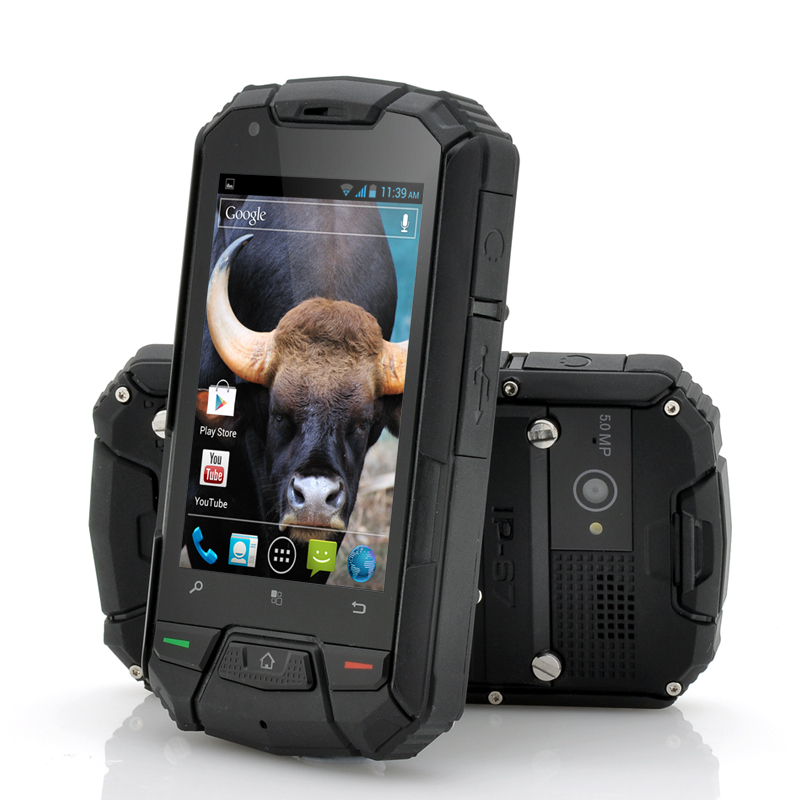 Successfully Added 3.5 Inch Ruggedized Android Dual Core Phone "Gaur" - 960x640, Waterproof, Shockproof, Dustproof (Black) to your Shopping Cart. 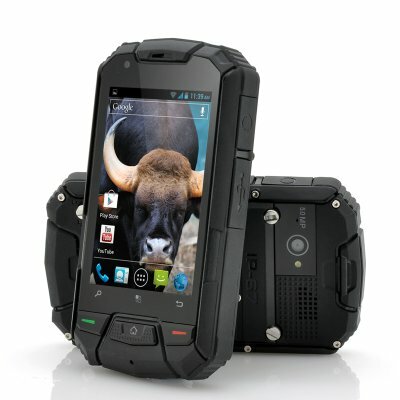 3.5 Inch Ruggedized Android Phone with a high performing Dual Core CPU, which also boasts a 960x640 resolution and is very tough as it is also Waterproof, Shockproof and Dustproof. The sacred Indian bison that is referred to as the Gaur is a strong and hardy animal, much like this Android rugged phone that also shares the same name, the “Gaur”. 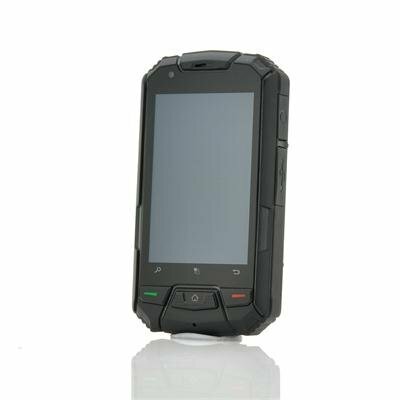 Performance is everything and this phone can handle it all due to a superb 1GHz dual core MTK6577 central processing unit, therefore the result when using this rugged phone is nothing short of brilliant. All information, application and media can be viewed clearly on the 960x640 display resolution that is shown on the phone’s 3.5 inch screen. Making this phone stand out from the rest is that the “Gaur” can cope with being roughed up and abused as it is shockproof making it ideal to be used by them individuals that work in the more harsh conditions. Water doesn’t even bother the “Gaur” as it has a waterproof rating of IP67, which means for this phone to obtain this rating it was tested by being immersed in water of depths of 1 meter for around 30 minutes. Android’s operating system is pre-installed on this rugged phone and makes it even more diverse for the user as it can be tailored to suit the user’s needs by giving them access to the Google Play store for instant downloading and installing from the 700,000 plus apps. This product is in stock and can be dispatched within one working day of ordering with a 12 month warranty. Brought to you by the leaders in wholesale electronics and Android phones, Chinavasion. In cases of falls where the phone automatically turns off, the user needs to power it on again. If issues with turning it on again, use manual hard reset button. Looks very good and heavy, i want to know if this cell has flash light. Awesome having two sim cards. This phone is VERY chunky and the manual (as such)is useless.